Pronto/Pronto is a hard-hitting, groove-laden, teeth-gnashing gyration machine. Pronto has come forth with a thrilling release that blends no frills punk with garage-rock-meets-almost-pop characteristics. One of the more dance-friendly punk records of the year, Pronto/Pronto encourages body movement and could be the perfect album to get your non-punk friends into punk. Melbourne’s Pronto initially seem like your prototypical power-punk outfit, but the group’s new record Pronto/Pronto proves that the group can be surprisingly dynamic in its sound. Alternating between furious and straightforward knockers to more dynamic garage rock tunes, Pronto incites less of a manic up-and-down jump and more of a shoulder twisting, toe-tapping groove. Pronto/Pronto is an album of peaks and troughs, where one moment you are ascending with the blitz and next you are catching your breath on the downswing – but only for a brief moment. This scuzzy LP is over in a flash, but not before getting a few kicks in to ensure body movement. It’s no frills or nonsense punk that, in reality, boasts plenty of fun nonsense for listeners to get into. ‘Implausible’ kicks things off with gravelly throated intensity, followed quickly by ‘Animal’ – a song that adds more of a lackadaisical groove to the album’s early moments. The vocals sit a step removed from the shred, reminiscent of the unintelligible but crucial howl of WULYF’s lead singer Ellery James Roberts (though sonically both bands are quite different). ‘Don’t Pick Me Up’ keeps the bounce going into dusty shake of ‘Fad Cult’, and beyond. ‘Static Pragmatics’ is the song where things break loose once and for all, closing with ‘Cops’, a highlight and borderline anti-establishment anthem. Songs like ‘Animal’, ‘Don’t Pick Me Up’ and ‘Fad Cult’ add the dynamic elements in the sound, eschewing the rapid fire fury of traditional punk for something more accessible. I think there lies the beauty of Pronto and the importance of Pronto/Pronto – the album is the perfect stepping stone for someone looking to dip their toes into Australian punk. There is less murk and bleakness than the like of Ghastly Spats, Deaf Wish and Exhaustion, and only a few moments of the downright savagery encountered on the Cool Death Records roster. 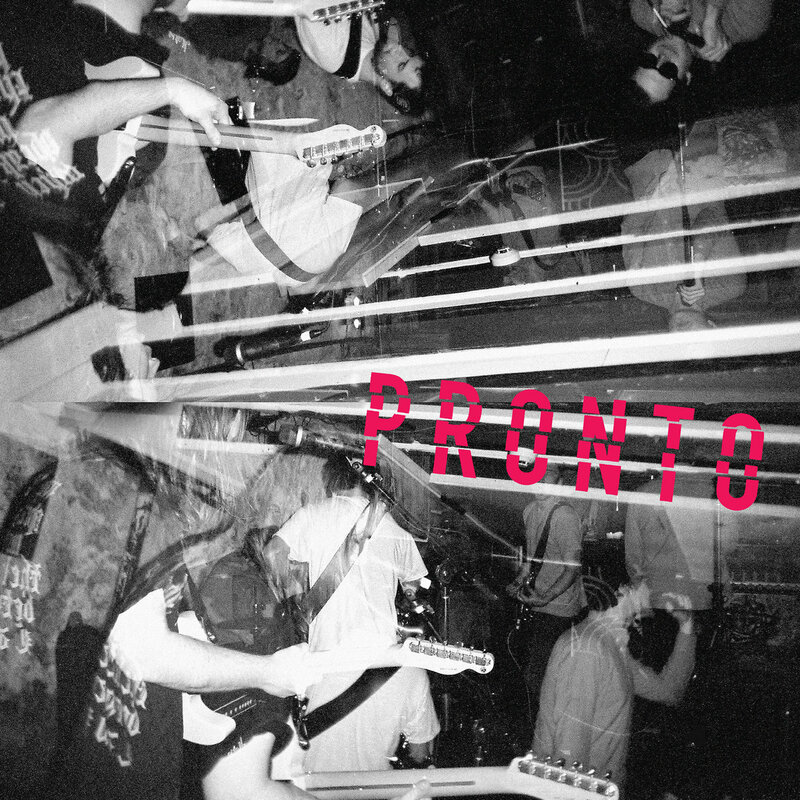 Clarification: Pronto/Pronto is a punk record, and it’s a good one. To the band’s credit they have made an album than be appreciated by both sides of the punk fence – those that live it and those that are scared by it. This record incites frenzy, it encourages it, and it demands it. Party, band room, bar, bedroom – try and resist the pull. You can’t, which makes this record magic. Pronto/Pronto is out now through Slovenly Recordings.